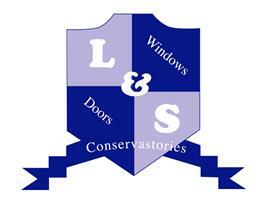 Lewington and Son - Fascia/Soffits/Guttering, Windows/Doors/Conservatories based in Reading, Berkshire. Invoice history based on 576 reviews. Lewington and son are a family run business with over 35 years of experience in fitting windows. Being a family run business has many advantages. When you call one of our staff for advice you can be sure that our attention to detail will help you to get the best advice you can possibly get regarding double Glazing; Windows; Doors and Conservatories. The majority of our business comes from word of mouth. The main reason is because all our staff are good honest hard working people who have been in the Double glazing, Doors and Conservatories business for decades. We take a very unique view of the Doors & Windows business and we focus on you, the customer. We believe that what you really want is good solid honest advice and should things go wrong a 100% guarantee that they will be corrected. Those are probably the main reason why we have survived the test of time in the double glazing industry.